– Introducing light biaxial carbon on the deck mixed with a protective layer of low weight fiberglass placement resulting in the lightness you can feel. 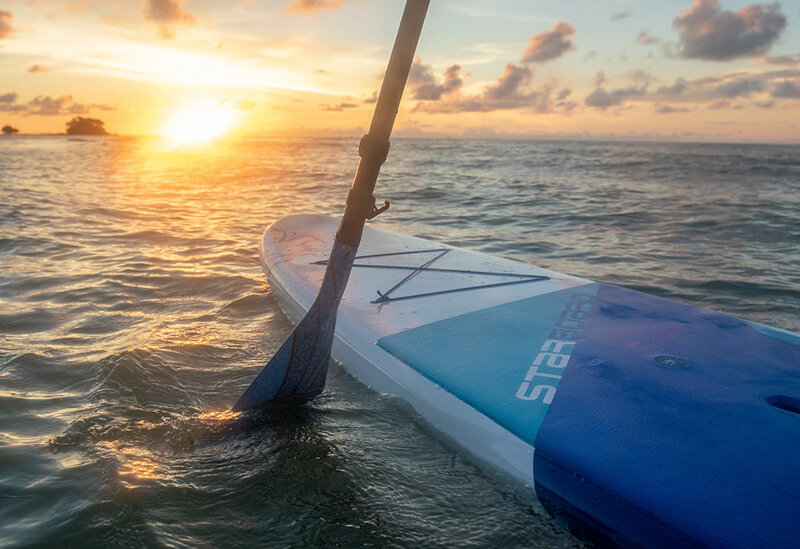 The genetics of the GO’s fast bottom shape makes it an exciting SUP windsurfing option. 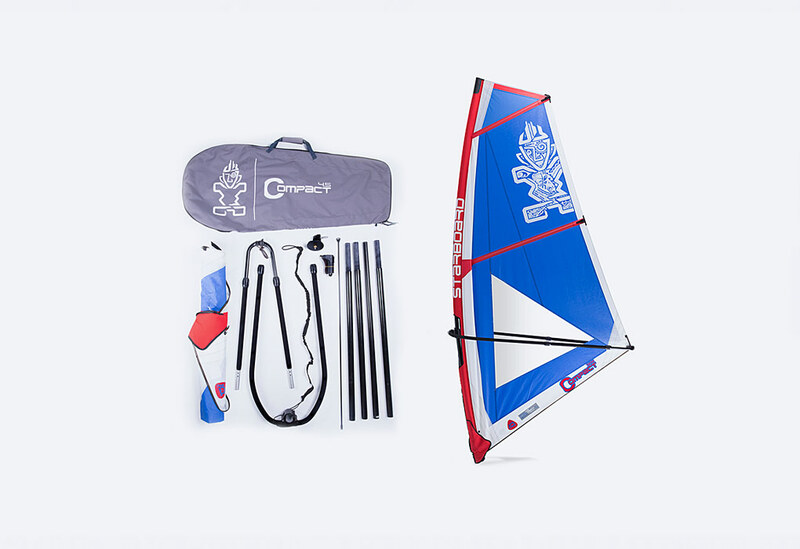 It’s a great choice for sharing windsurfing and paddle boarding with friends and family. This board glides with ease, very different from anything we have offered in the past. Starboard brought home 11 out of 12 PWA constructor titles over the last 12 years and we love getting more people into windpowered fun! Length: 12’0” / 366 cm. Width: 34” / 86 cm. This board delivers performance with ease. It is the most stable shape in the range. 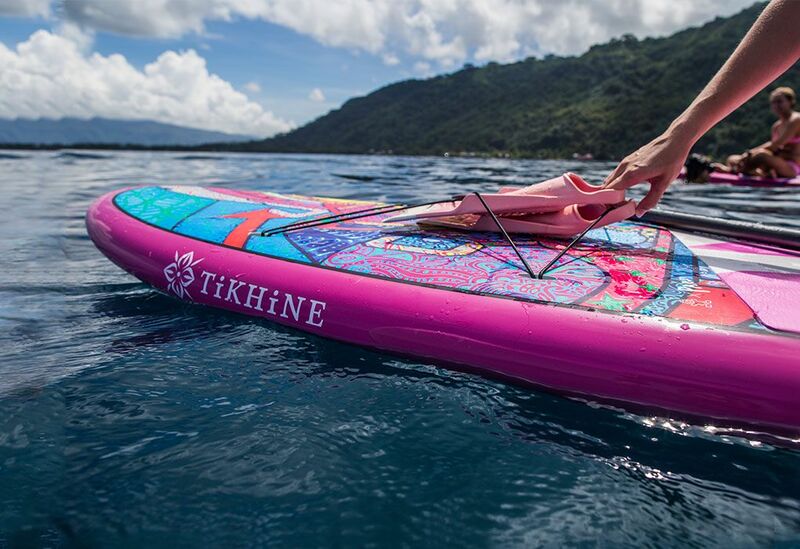 The width makes it ideal for beginners and heavier riders up to 130kg to get used to paddling without getting wet. Width: 30” / 76 cm. 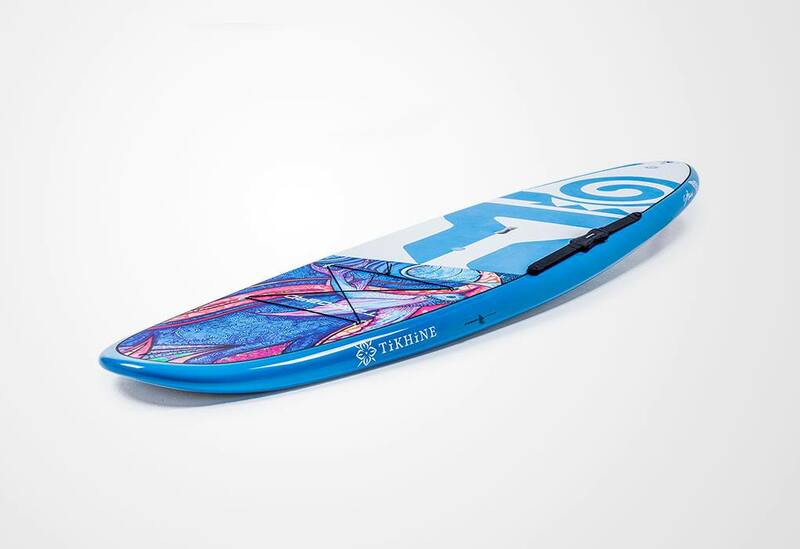 This is the fastest GO board in the range, offering a fast and stable board in a traditional surf outline shape. For riders up to 100kg. Length: 11’2” / 340 cm. Width: 32” / 81 cm. This is a truly amazing board. 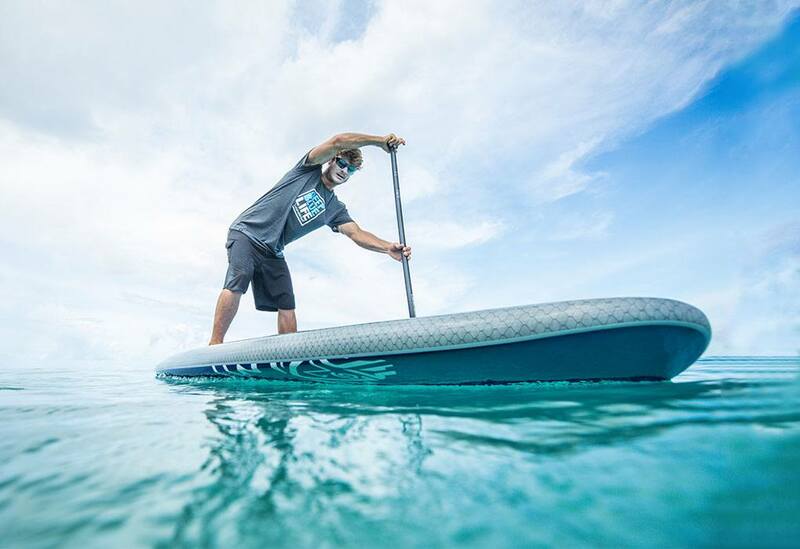 The glide matches that of a narrower board and its stability is tremendous due to the concave hull and boxy rails. This is the board if you are getting your first SUP board and under 105 kg. Width: 28” / 71 cm. This is a more performance oriented board suited to ladies, lightweight riders that want a fast glide and easy tracking from the narrower outline. For riders up to 95kg. Length: 10’2” / 310 cm. Width: 29” / 74 cm. The shorter length is lightweight and offers easier maneuverability and fast turning. 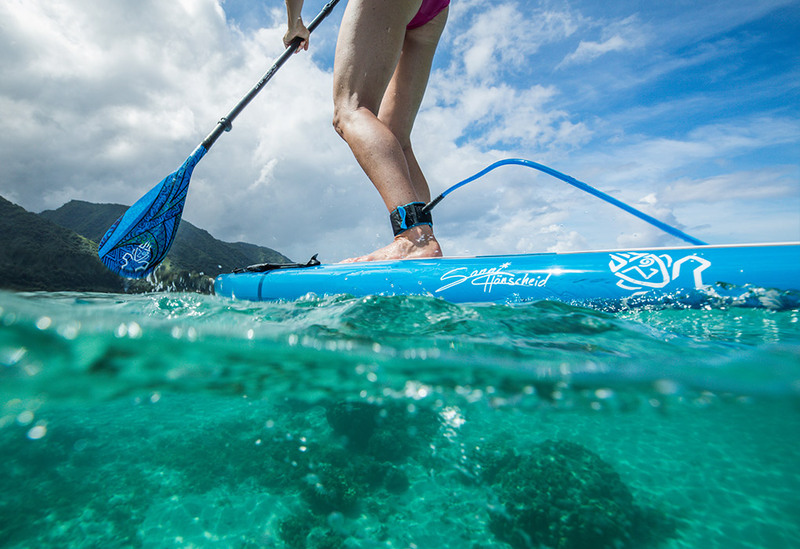 Narrow width improves tracking from being able to hold the paddle straighter in the water. For riders up to 95 kg. Length: 9’4” / 284 cm. This nimble little board is the preferred choice for light riders, it accelerates really fast, feels like a little bullet and has amazing stability relative to its size. And yes, this is a very light board to carry around. SUP BOARDER SAYS 10/10 ! 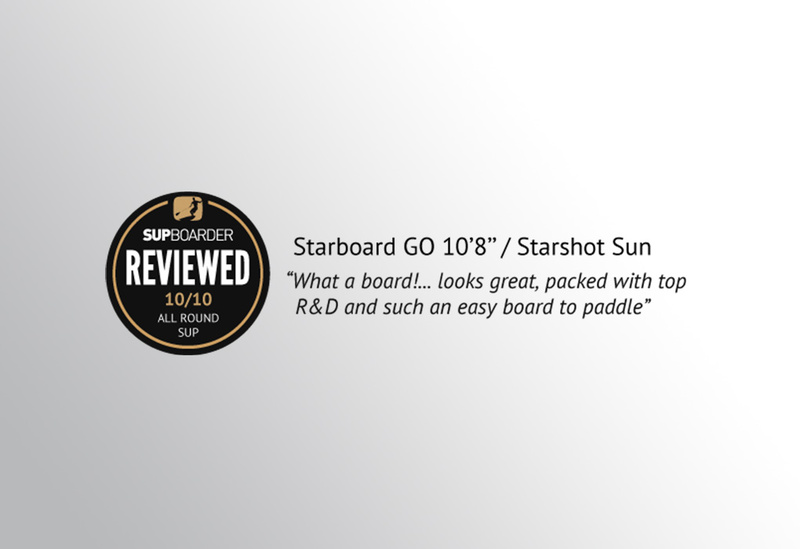 The Starboard GO finished in the Starshot Sun graphics is an absolutely stunning looking board. 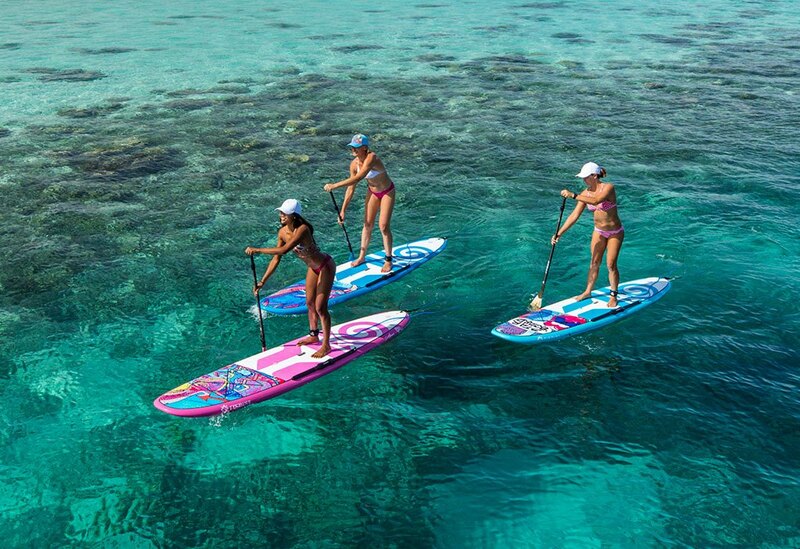 But it doesn’t end there… the whole Starboard GO range of boards are packed with R&D from Starboard Race and Touring boards, offering an excellent stable platform for flatwater SUP cruising, fitness and yoga. 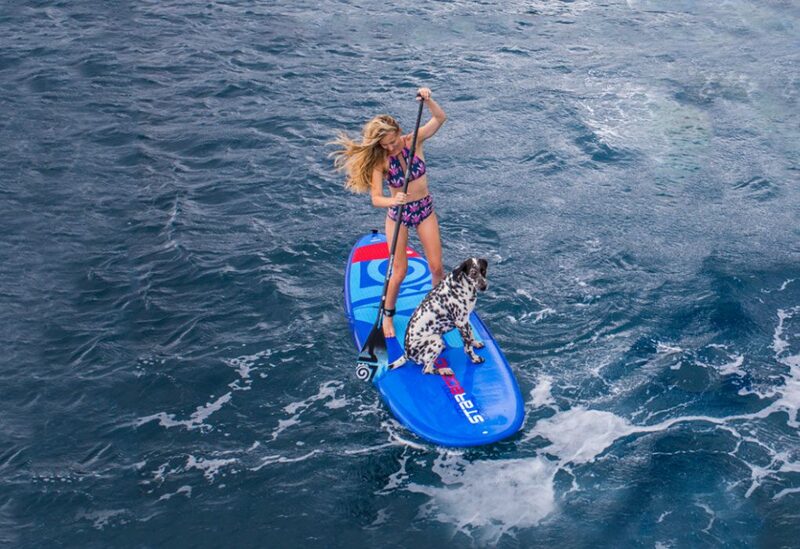 It’s the easiest mid length board we’ve ever paddled with great straight line glide and performance.